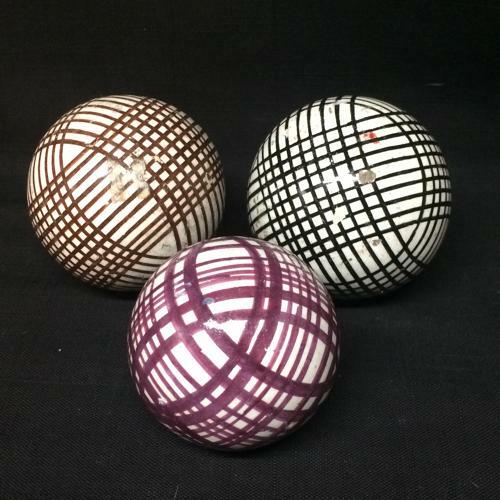 These are genuine Victorian Carpet Balls or Carpet Bowls as they were known in Scotland. The medium sized ceramic balls measures approx. 3” in diameter, heavy duty solid glazed and decorated ironstone.